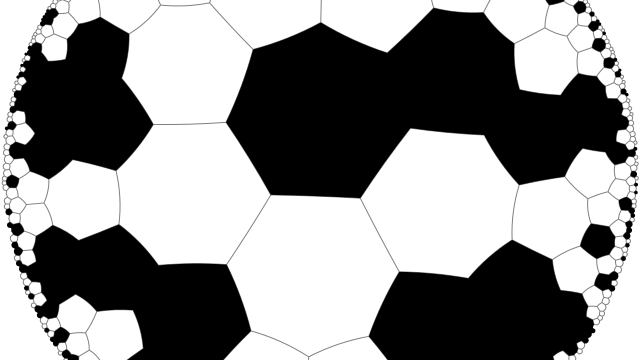 Simulator of cellular automata, acting on an regular tilingof the hyperbolic plane. It supports arbitrary large configurations of cells, limited only by available memory. Introduction to reversible cellular automata and simulator. Single Rotation rule: remarkably simple and rich rule. Single Rotation is a simple reversible cellular automaton, that operates on a field with Margolus neighborhood. Random initial conditions in this rule produce lots of different spaceships, some of them are in this catalog. See blog post for details. 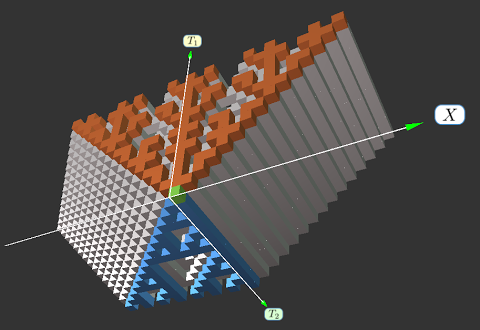 A simulator of the Single Rotation cellular automaton, that tracks positions of the cells and uses Lancsoz interpolation to add an intermediate frames. 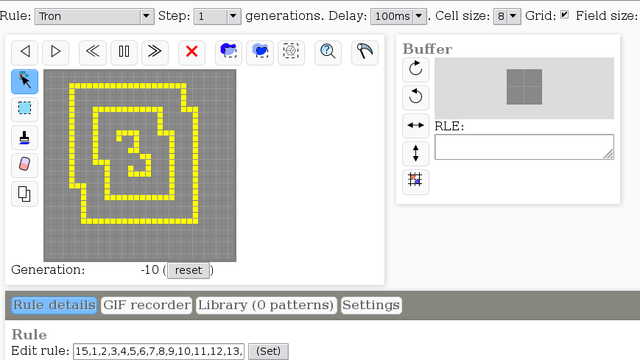 Its primary purpose is a nice visual effect, for experimenting with reversible cellular automata see online simulator. A tool to automatically catalogize collisions of simple patterns in reversible cellular automata. 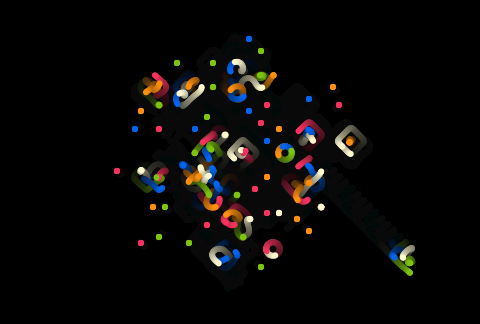 3-dimensonal version of the above application, using Web GL for visualization. 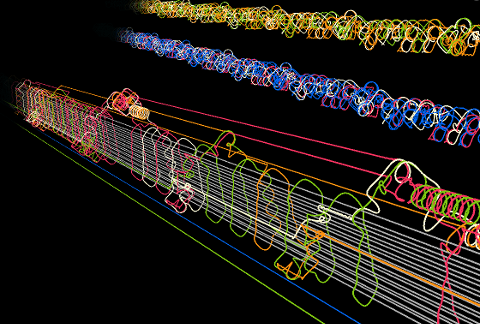 It displays world lines of the moving cells, as a 3-dimensional curves. Sources: github.com/dmishin/singlerot-smooth, in the "3d" folder. If a 2x2 block of pixeld contains 1 pixel of highly different color, then this block is rotated CV. Simulate elementary cellular automata with 1 spatial and 2 temporal dimensions. Simulation result is displayed as static 3d object, visualized with Tree.js. See also blog post about it.